The First Tranche, Pt 2. 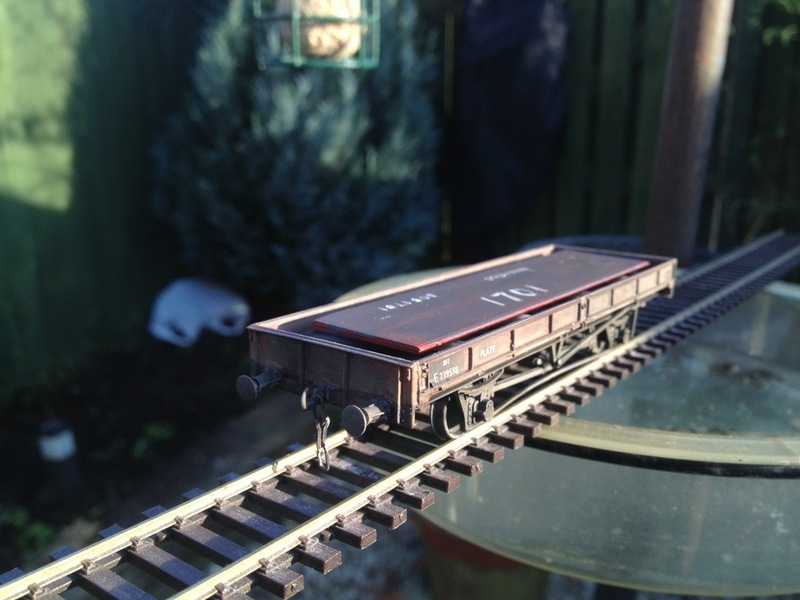 Two more wagons have emerged into the sunlight as winter starts it’s transition into spring in the Border Lands. First up is a 13 ton Medfit, built from a Parkside kit and intended for engineers’ use. In reality the Medfits had but a short service life as traffic loss and operational changes rendered them increasingly redundant and by the mid 1960s many had been snapped up by the engineers department. 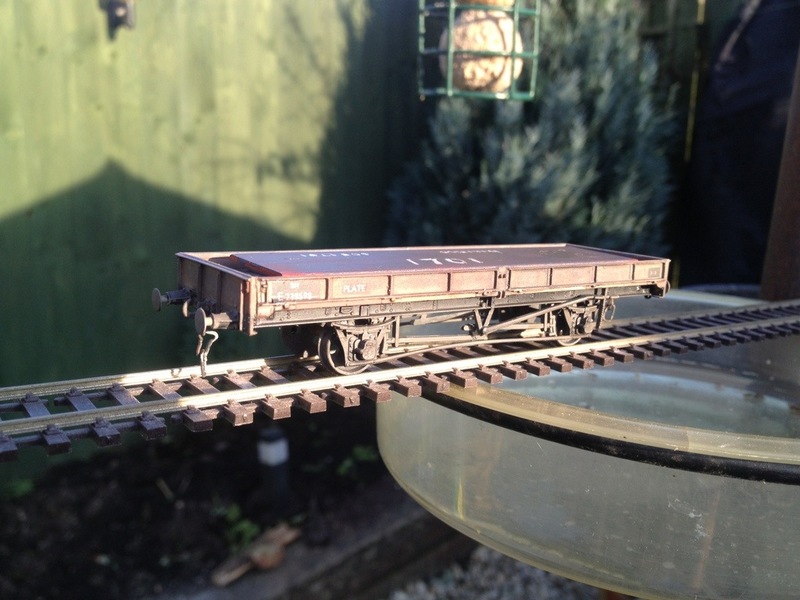 This model portrays one of those and is set up as carrying a load for a bridge or retainer repair. 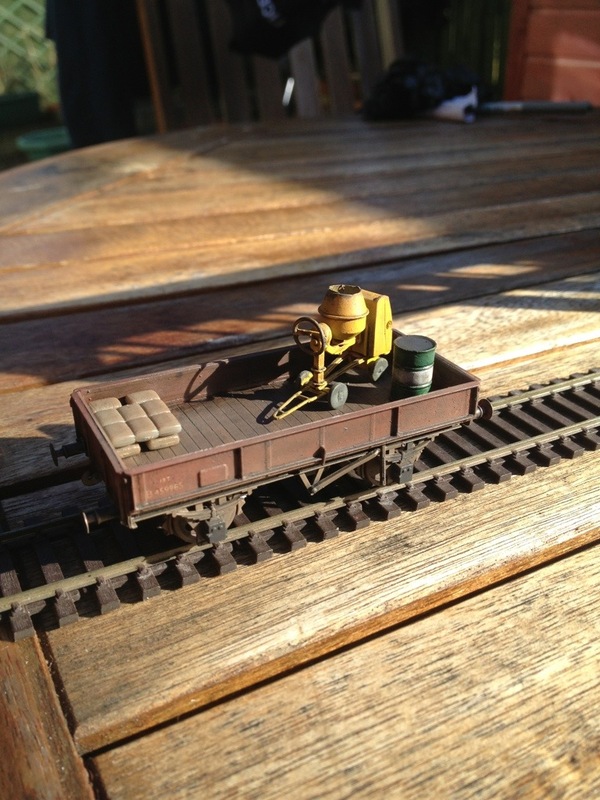 The mixer is a kit by Langley models, the water barrel by Bachmann and the cement bags by EFE. Buffers are by Dave Franks/LMS. 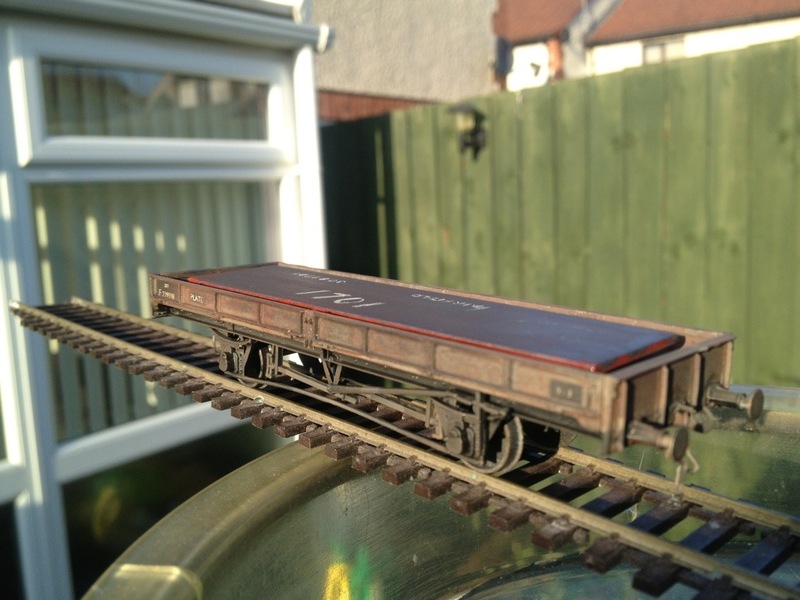 The next wagon again comes from the Parkside kit and portray an ex-LNER 21 Ton Plate wagon. Again built as standard but with Dave’s buffers and drawhooks. 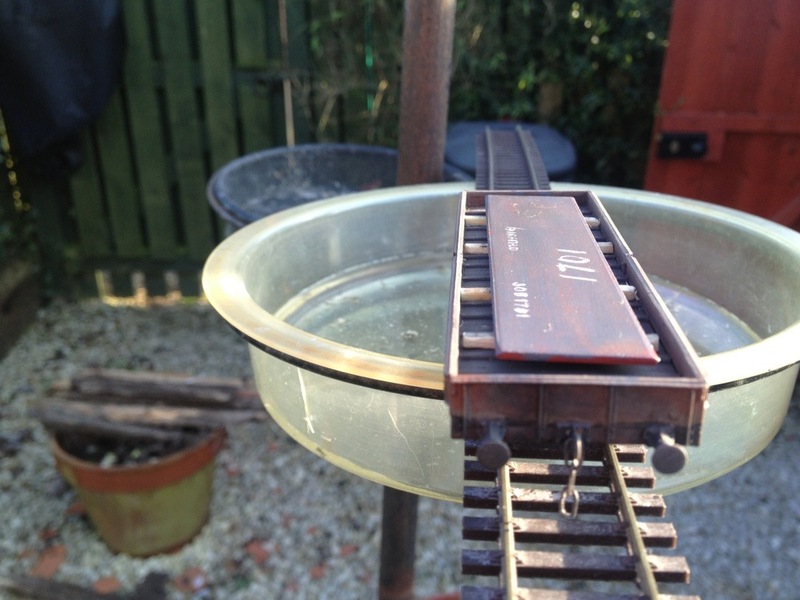 A hefty steel plate has been added and serves a dual function as load and ballast for the model. Both models have been weathered using Tamiya acrylics, Mig Washes and pigment.